Peter Zieve started Electroimpact in 1986, a company that specializes in factory automation and tooling solutions. Their first customer was Boeing and their first products were machine tools, mostly for riveting. More than three decades later, the company has grown to become the premier manufacturer of aircraft assembly equipment. Their customer base includes Boeing, Airbus, Kawasaki Heavy Duty Industries, Mitsubishi Heavy Duty Industries, Fuji Heavy Duty Industries, and Spirit Aerospace, among many others. The company’s goal, according to Peter Zieve, is to become the “premier supplier of automated equipment to the worldwide aircraft industry.” And judging from the success they’ve had throughout the years, and the constant innovations and product development, they’re a hairline away from achieving that goal. When Peter Zieve, a graduate of the Massachusetts Institute of technology, was completing his doctoral studies in Mechanical Engineering at the University of Washington, his Doctoral Research was on Low Voltage Electromagnetic Riveting Technology, and this was the inspiration for the company. For as long as he can remember, he wanted to build a company that would be like a “haven for engineers.” Today, Electroimpact has a team of engineers working on product development and innovations. 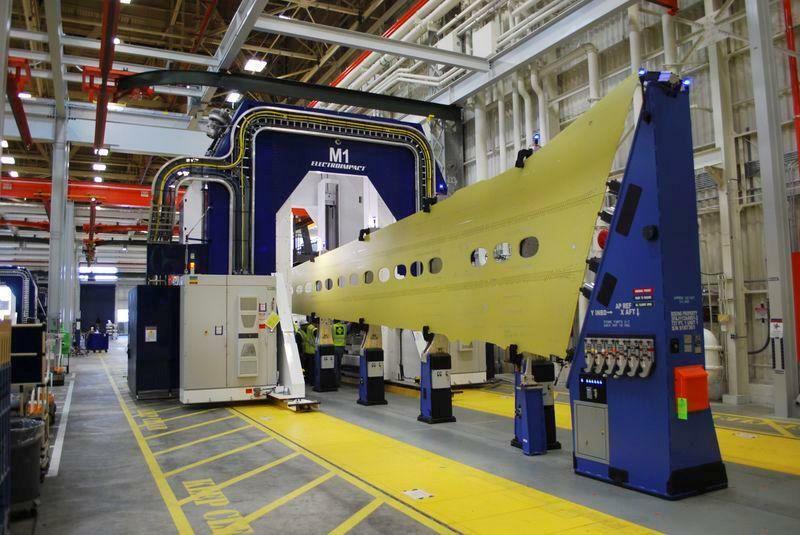 Recently, Electroimpact sealed another partnership with Boeing; this time, for the aircraft company’s Max 737 airliner. For this project, they’re looking at composite materials and further enhancing their riveting and automation solutions as well as improving tooling and part flows. Parts flow and tooling are areas that they are particularly keen on improving, specifically, tools for aircrafts from jigs to fixtures, tool bars, molds, carts, and a slew of other critical parts and assembly components. Stay tuned to this page for more updates on Electroimpact’s innovations and technology.